Certainly, the Second Vatican Council wished to promote greater active participation [and] fine initiatives were taken along these lines. However we cannot close our eyes to the disaster, the devastation and the schism that the modern promoters of a living liturgy caused by remodeling the Church’s liturgy according to their ideas. They forgot that the liturgical act is not just a PRAYER, but also and above all a MYSTERY in which something is accomplished for us that we cannot fully understand but that we must accept and receive in faith, love, obedience and adoring silence. BOOK RECOMMENDATION came to me several years ago during a hallway conversation with my esteemed professor of philosophy, Dr. Atherton Lowry. I am somewhat shamed to confess that it took me until this summer to follow through on his recommendation. 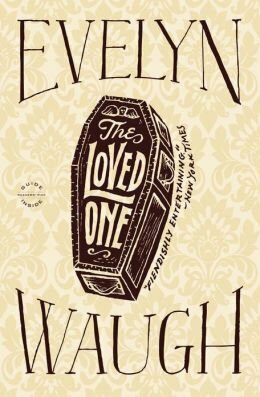 Nevertheless, I happily spent my flight to Salt Lake City for this year’s Sacred Music Colloquium reading Evelyn Waugh’s The Loved One. Subtitled “An Anglo-American Tragedy,” the book is an uproariously funny satire of the film & funeral industries, among other topics. When I first encountered Dennis Barlow, one of the major characters in the book, I began to question my professor’s recommendation. Barlow, having been fired from his work in Hollywood, had taken a job at “Happier Hunting Ground,” a funeral & burial outfit for pets. The modern American obsession with pets and the absurd things people will do in their name has long been one of my “pet” peeves, so I was unsure if the plot would be tolerable. It quickly became apparent, however, that this was all part of the well-crafted satire. The story develops into a tale at times humorous, startling, and ridiculous. In the midst of the satire, though, arises an insightful passage about art that seized my attention. That seems to me a fair question, and a question worth asking. Can art that does not last for whatever reason—planned destruction, limitations of the medium, etc.—ever be considered “great” art? Can it, for that matter, be considered “art” at all? Is permanence a necessary attribute of beauty? The answer Barlow offers is thoughtful: “You should regard [your art] as being like acting or singing or playing an instrument.” Acting transpires, and music can only be made in the moment. Surely, both of these art forms can be recorded, yet there is a fundamental difference between a movie & a stage production, between a digital play list & a live orchestra. This is why the Church wisely does not permit recorded music in liturgical contexts. Consider, also, the Earth and its seasons. Is not all of nature the handiwork of God, and yet it flows on in an unceasing torrent of change? The Loved One reminded me of the particular privilege it is to be involved in the work of sacred music. Whereas photography and painting and architecture are arts that last, music is in some ways a transient art form. I believe there is actually something beautiful in the very reality of music’s passing nature. In all its many forms, art is, as Waugh writes, “a work of consolation.” Music may only last for a moment, but its beauty endures.